The South Carolina Department of Transportation is ahead of schedule in its work to repair roads and bridges, according to an announcement from Transportation Secretary Christy Hall. According to Hall, SCDOT is spending more than $3 billion on ongoing road work, a sum that is three times higher than normal levels and a record in agency history. SCDOT is wrapping up the first year in its 10-year plan to rebuild roads and bridges. The first year officially ends July 1. “We are now one year into a strategic 10-year repair and reconstruction program designed to start the long journey to improve and repair our 42,000-mile highway system that includes just over 8,400 bridges with new and sustainable funding that we have not had for 30 years,” Hall said in a release issued by SCDOT. The projects are supported by a recent fuel tax increase, which directed monies to the Infrastructure Maintenance Trust Fund. This fund is reserved for SCDOT to pay for repairs, maintenance and improvements to the existing highway system. 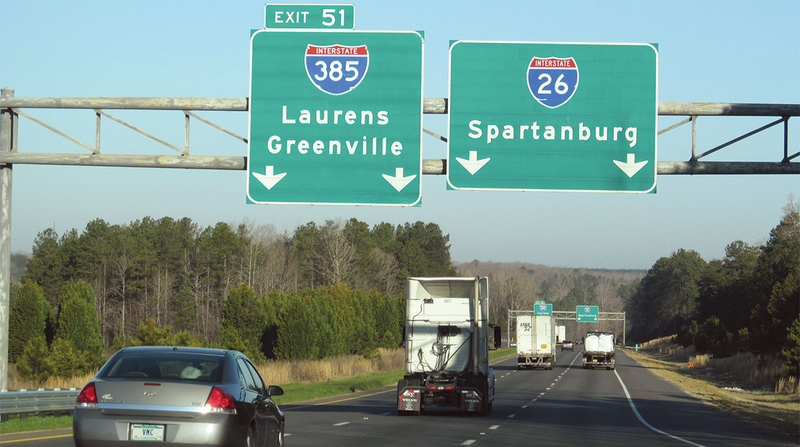 SCDOT’s priorities focus on four main areas: rural road safety, paving, bridge replacements and interstate widening. The rural road safety program is meant to improve 1,000 miles of rural roads. Hall noted that South Carolina has the highest highway fatality rate. The pavement resurfacing program aims to improve the quality of the state’s roads by up to 3% per year. The agency exceeded expectations this past year, achieving a 5% pavement improvement. Under the 10-year plan, South Carolina is devoting about $100 million more to bridge improvements. The American Road and Transportation Builders Association found in its 2018 deficient bridge report that 9.9% of bridges in South Carolina are structurally deficient. “The projects selected for these programs were based on an analytical, not political process, where SCDOT engineers ranked projects based on objective and quantifiable factors,” Hall said.